Does your inner child dream of driving a real tank? Good news: A trip to Ox Ranch in Uvalde can help make that dream come true. Ox Ranch offers the chance for civilians to drive and shoot authentic World War II tanks. The activity, hosted by Drivetanks.com, is the world’s only live-fire tank adventure. In addition to the tanks at Ox Ranch, you can also fire a U.S.105 Howitzer, German Pak-40, and a Pak-113. 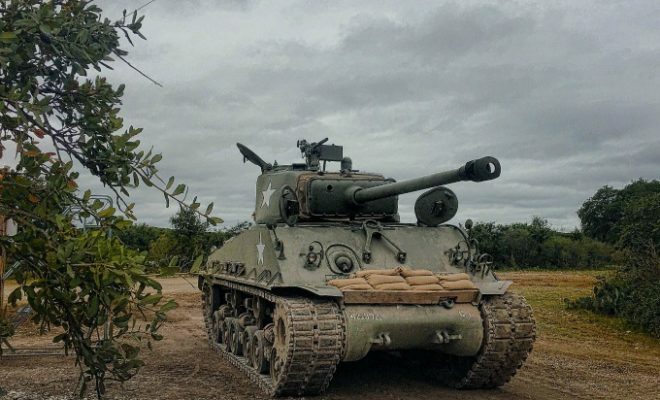 Packages are available at Ox Ranch that include “The Sherman Package,” that, for a cool $2,999, includes the chance to maneuver a WWII Sherman Tank through the specially developed tank course at the ranch, shoot the machine gun on the tank, and live out all of your military hero fantasies — all in one day! There are more affordable tank experience packages at Ox Ranch available, however. For less than $1,000, you can drive different types of tanks on the tank course and try out the machine guns on the tanks from other country’s militaries, such as the British and Soviet militaries. But there’s more to Ox Ranch than just tank-driving and machine gun-shooting. Ox Ranch features more peaceful activities like private yoga lessons, dinosaur track hunting, and wildlife viewing. 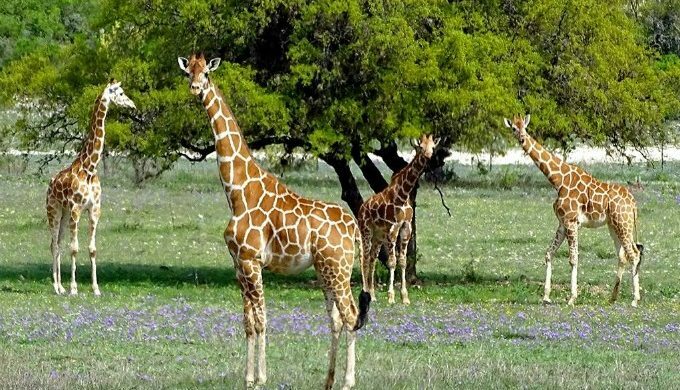 Ox Ranch is home to exotic animals and offers hunting packages as well. An experience that will surely please that special person in your life, Ox Ranch offers scenic Texas Hill Country beauty with experiences that you can’t find anywhere else in the world. Treat someone to a Valentine’s Day adventure or save up for a Father’s Day treat that will leave a lasting impression. To learn more about Ox Ranch, visit their website.